Once again we are dealing with a young Italian Company and we like it. This sector, for many people is dead, but we see many start-ups that grow bigger very fast and take new market shares or conquer those that belong to the competition. Luckily, despite the chinese invasion of low cost products, there are also brave craftsmans that prefer to focus on quality rather than on quantity, they want to emerge thanks to quality, to innovative design or thanks to the use of state of the art technologies. Our market is not dominated by products that have complex technologies that would hinder the access to all those that do not have large sums of money, but it’s a market that favours all those that have new ideas, creativity and the will to succeed. There is still a little sunny spot for all those that want to be in the game, with small investments, side by side with the world’s market champions. It is sufficient to cross the border to see how international shows - like the Munich High End - are still thriving. In Munich the enthusiasm of the traders was palpable this year despite the crisis that is crunching other European Countries. In Germany we always find new brands that we timely present to you in our real time report. There are two aspect of this circumstance: on one side there is a wide choice of articles that allows the consumer to choose what best meets his needs and desires, and on the other side the costs are rising due to the fragmentation of the production and also because the big Japanese brands that produced big quantities of low costs components exist no more. Today costs are high and can be written off on lower level productions but on average they have a better sound now. Audiofilia is an enterprise founded in 2011 by Alessio Paolizzi, an expert of acoustic physics, a musician, a concert man and choir director and by Francesco Stocchi an expert in electronics that is also the project manager of the loudspeakers’ crossover filters and of the cables produced by Audiofilia. The selection of products consists of 3 bookshelf models, 5 floor standing models, 3 monitors for professional use, 4 Home Theatre speakers and 3 subwoofers. “Research and development The “S” System is a proprietary technology owned by AF and the result of a 20 years long development cycle, spanning from traditional research in the field of acoustics to studies in lutherie as well as on material resonance and density. 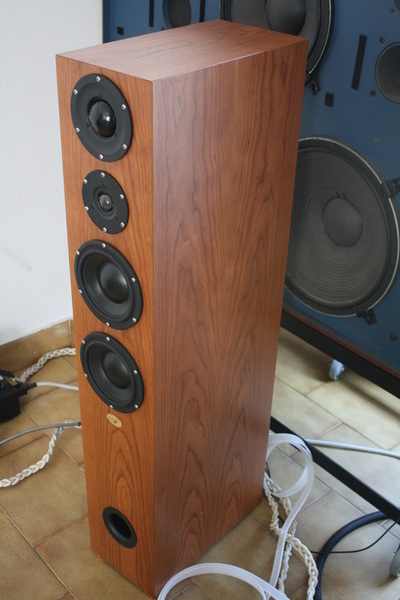 It is a fresh, innovative and exclusive physicalpneumatic system which finds its application in the assembling technique used to create AF-Speakers. The system employs the drivers' mechanical oscillation to generate a “hybrid waveguide” of pneumatic nature, which interacts with the air flow and pressure inside the cabinet by accelerating or slowing it until a precise point, previously set in the design phase, is reached. The accord, that is, the combination of resonating (sympathetic) frequencies, takes place inside the speaker itself rather than outside the reflex port, which is how every other system works. As a consequence of this feature, our speakers minimize the sonic difference between the two most used loudspeaker systems: the bass-reflex tuned port and the air suspension via woofer. 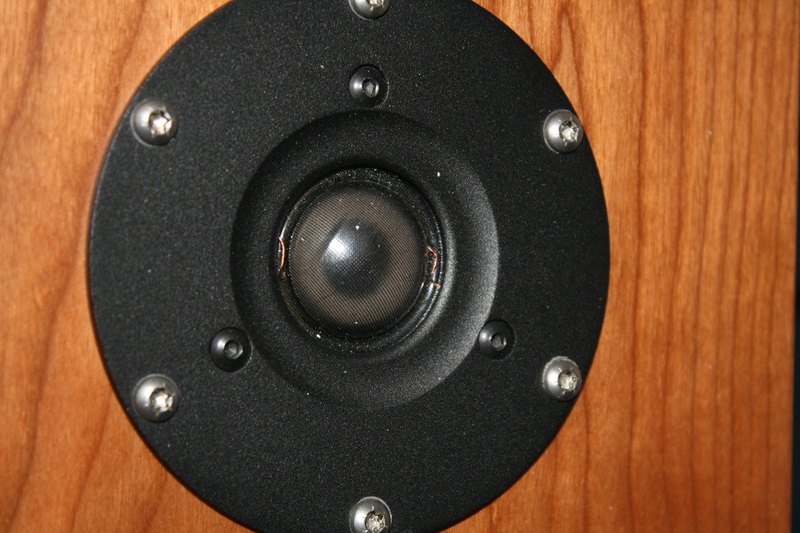 The control of air pressure and of the wave generated inside the cabinet allows to subdivide (and, in turn, control) the region of low frequencies in the whole emitted sonic spectrum, by dividing it into two distinct sections or categories: a relatively high region, which we are conveniently going to call “Bass”, and a relatively low region that we are going to call “Bass-lfe”. The first region, the Bass, has a physical working range from 180Hz to 63Hz and it is characterized by “dry” and defined transients, that audiophiles call “Punch”. The second section, the Bass-lfe, has a frequency range spanning from 63Hz down to subsonic frequencies under the 20Hz, defined by very long (“telluric”) waves and distended, undefined transients. With the “S” System, which is perfectly able to control all of the aforementioned factors, the speaker acquires a new functioning identity, by behaving exactly as the sound board of any string instrument. Let's take, for our example, a piano: every time the hammer strikes a wire, the latter vibrates, which in turn causes the vibration in the sound board and in the plate (the back, or “cabinet”) that generates sound. 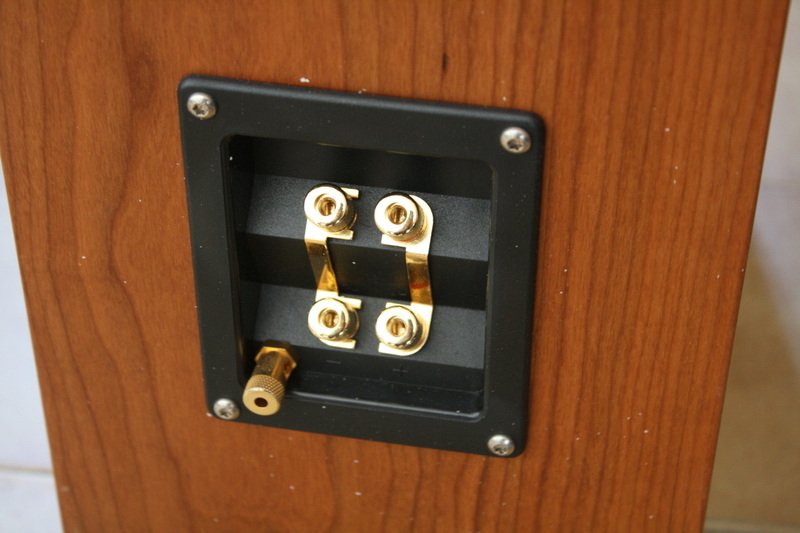 By translating the vibration-based functioning of the piano to the speaker, it is possible to understand how the driver in this case closely corresponds to the wire, and the cabinet and its interior to the plate of the piano. 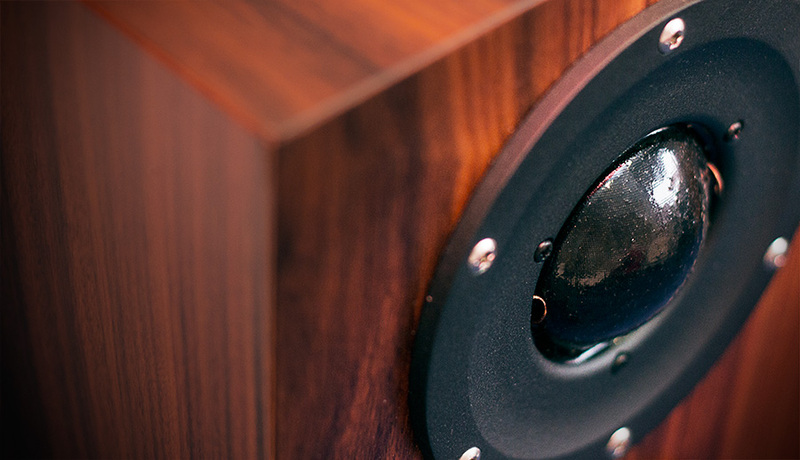 The speaker, just like the piano, can “vibrate” and create “vibration”, thus emitting an extremely natural, deep and tangible sound throughout all of the audible and non-audible spectrum. In this perspective, it can be freely stated that the “S” System goes against the flow in relation to any other system of audio reproduction, since a vast majority of those projects is focused on the exasperated amorphousness of the cabinets: that produces, as a result, a “dead” and enclosed sound, one that lacks naturalness, vibrancy and any semblance of truth when compared to the original sound event. Now think back to the piano: what kind of sound would you hear if the sound board and the cabinet were composed of an amorphous material and completely unable to vibrate? All of the AF-Speakers implement this new technology. The bookshelf models are realized through the “porthole channeled “S” system”, while our bigger speakers, the floorstanding models, use the “transverse channeled “S” system”. Even though the name is different, the underlying system is the same, as it has been developed respectively for wooden cabinets of smaller and bigger dimensions. As is the case for any project involving the designing and manufacturing of a wooden musical instrument, whether it be for the crafting of the sound board or for any other part of the instrument, the choice of the wood is especially important. We put the same care and attention in the realization of our speakers' cabinets. 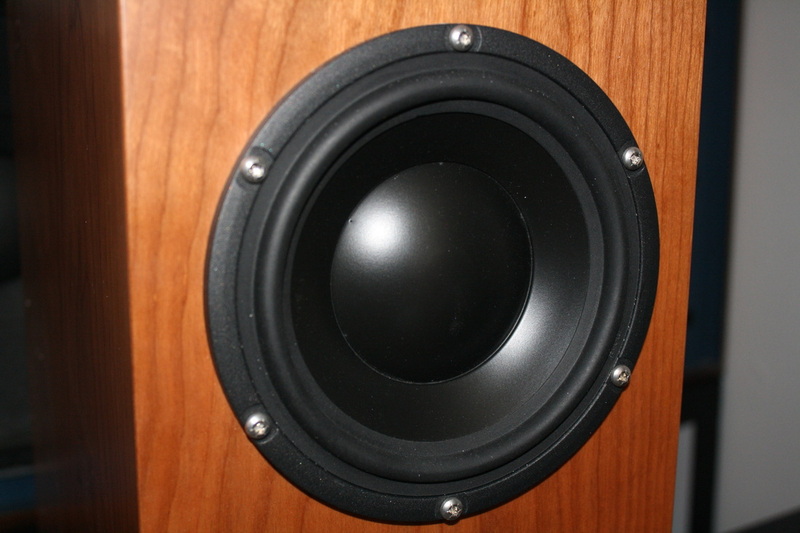 A cabinet implementing the “S” System must be able to vibrate in response to the smallest stimulus induced by any of the speaker's drivers. Any material or component that constitutes an obstacle to the desired level of oscillation cannot be considered during the manufacturing of the product. The choice of a wood providing the right molecular density, which translates into an innate resonating capability, is as fundamental as it is in the creation of a musical instrument. The same degree of attention is put in the quality of the finish. Wood, as a material, is porous and “alive”, and that is the way it must stay in order to capitalize on its acoustic and harmonic properties. Finishing products heavily influencing the material, such as thick (double or triple-layered, colored or otherwise) lacquers, must be avoided, along with unsuitable adhesives and chemical polymers. The “S” System generates a natural and transparent sound, sporting a sound quality that is superior in resolution, realism and impact to any other system ever realized, whether that system uses a bassreflex tuned port or air suspension. Our system involves a real, natural capability in sound transmission: the transmission of real physical sensations and emotional feelings which can only be created by the material sound of a real musical instrument. It allows for an actual calibration of the audio information that is being played and for a particularly vast frequency extension, ranging from the low to the high region of the audible spectrum. The system features indifferent response and “sentimental” adaptation to the musical genre and indifferent acoustic response to volumetric variation. Why now? One of the most frequent questions that we are commonly asked is: why now? Why hasn't a physical-pneumatic system, like your “S” System, been invented before? It is very hard for us to answer such a question. Maybe the answer is similar to the one pertaining to all of the inventions of human history, big or small: more often than not, ideas are born and inventions designed out of a specific need, linked to a very specific field. The unfaithfulness of sound emission in prominent physical-acoustic systems, the packing of audio information, the variable response of primary acoustic systems to different musical genres, the lack of a proper realization of the sound on the emotional and sentimental level: these are the reasons that brought us to the development and creation of a new physical-acoustic system, which can be applied to both domestic and professional audio reproduction. What about us? We firmly believe that no other commercially available speaker, neither in domestic nor in professional environments, can obtain better audio results than our speakers, concerning naturalness, musicality, realism, extreme level of detail, high resolution, tone accuracy and depth of basses, typical of “S” system and all of this, independently from the musical genre considered and the volume at which the audio track is being played”. 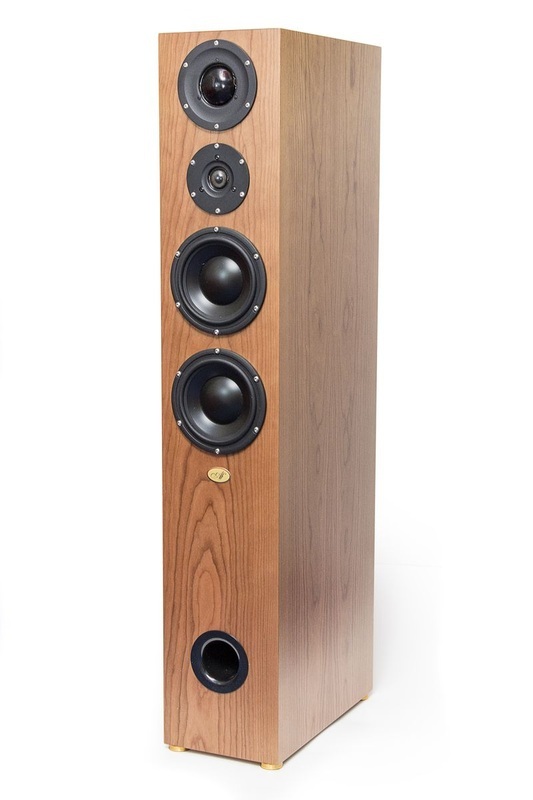 The model we have here for this review is the standard one, with a dome tweeter, while you can choose also a Fountek ribbon tweeter as an option. The drivers are all fine Morels that let us guess that the price of the speakers won’t be very cheap. We also notice with pleasure that Audiofilia uses a dome midrange that seems to be out of fashion lately, without any reason. turntable Basis 2001, tonearm Graham 2.2, cartridge Lyra Kleos, phono preamplifier:Einstein "The Turntable's Choice", CD/SACD player dCS Puccini + Puccini U-Clock, preamplifier: MBL 4006, power amplifiers: Bryston 7B ST mono, loudspeakers: JBL 4350B, interconnect cables: MIT Oracle MA-X Proline, MIT Shotgun S2 RCA, Transparent Super XLR, Transparent Super RCA, LAT International XLR, loudspeaker cables: MIT Magnum MA, Vovox Initio, USB cable: MIT SL-Matrix USB, power cables: MIT Shotgun AC 1, Black Noise Pearl and others DIY, mains distributor: Lector Edison 230/8, mains filter: Black Noise 2500. A first taste of low range frequencies arrives with the “Toccata and Fugue Bwv 565” by J.S. Bach performed by Simon Preston (DG). To be honest, the 16 Hz at -3 dB declared by Audiofilia seems to be too optimistic, anyway I can hear a deep low range, not so strong to cause an earthquake but present and at high volume the distortion is very subtle, therefore it’s not bad for only four 6” woofers in total. The sound of the mid and high couplers of the organ, already atypical in itself for this record, seems to tend towards the acute range. The soundstage is well reproduced by the AF-S6. 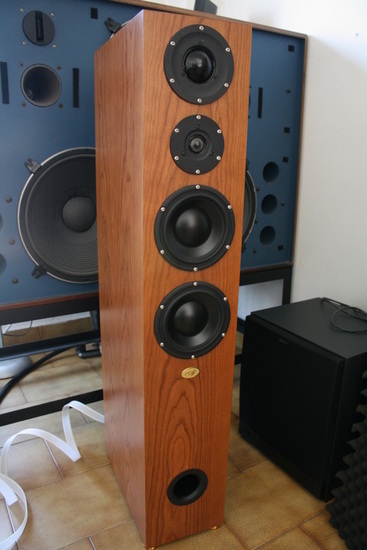 I was in a shop few days ago and I listened to a couple of loudspeakers that cost 12.000 Euros (double the price of the AF-S). Among the CDs that I found there there was “Nelson” by Paolo Conte (Platinum), that I know well and that I have among my CDs. Those loudspeakers were still to burn in but had a dull and lifeless sound while these Audiofilias reproduce Paolo Conte’s voice in a much better way. Well, with our loudspeakers Daniele’s Di Gregorio’s percussions played tangible and very rich in harmonics. Franco Battiato’s voice in the CD Fisiognomica (EMI) is well opened in the high range, due to the recording, but it is well controlled as for the hissings. The transition from the mid range and the mid-low range, that is the issue of many project, here goes very smooth. To have impressive results you have to work on the positioning to avoid annoying holes in the mid-low range. The loudspeaker is very coherent and it’s easy that, dumping the so called “warm range” that includes frequencies between 80 and 200 Hz approximately, the mid range becomes prevalent and may fatigue your ears on the long run. As for the mid range, these Morel domes are great. The sound in their range is tangible, coherent and loaded with those details that transform a normal sound into something that charms you straight away. The double bass in the CD “Ella & Louis” (Verve) is well articulated; in this record, these two jazz geniuses duet with the contagious happiness of those that do their job with joy and desire, knowing exactly where they can get. The voices are beautiful, well extended in the upper tones, and Armstrong’s trumpet is reproduced with the right violence and it’s never too much for your ears. Haendel’s Organ Concerts, performed by the Amsterdam Orchestra directed by Jaap Schroeder (SACD Pentatone), let us hear all the smallest details of the orchestra, included the noises of the mechanics of the organ in the Katholieke Kerk in Haarlem, Holland. The sound stage is large and deep enough to give the illusion of the event, on a smaller scale of course, since these loudspeakers are not very big. The Choir of the “Missa Tu Es Petrus” by Pierluigi da Palestrina (CD DG Eloquence) is very convincing and the AF-S6s reproduce with sharpness the single sessions and all the information about the location. The dynamics of the reproduction of the “Central Park Concert” by Astor Piazzolla (CD Chesky Records) is not elating, but it’s more than sufficient for the regular home listenings. In conclusion, we can say that the test was passed with flying colours. The sound of these Italian loudspeakers is a bit focused in the mid range, in order to exploit the great Morel midrange. If you put these loudspeakers close to the side walls or just a bit closer to the back wall you dump a bit the mid range, if this is your taste. The only note is about the price. It is partly justified by the drivers used and by the good finish of the cabinet but it should be a bit cheaper, in order to conquer a market share in this crowded hi-end panorama.